Cloudy enables now to run Docker containers for flexible and customized service provision. 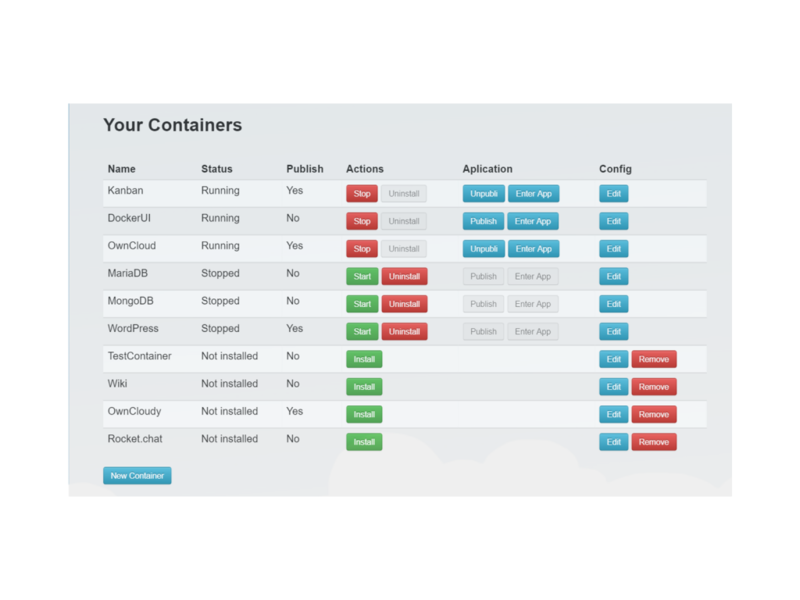 In order to be able to manage and share applications in the community, a new container management panel has been added to Cloudy. This panel allows to start a set of applications and share them with the community. If the pre-selected applications are not enough, Cloudy also allows the user to add new applications. For this a new form has been created to introduce the necessary data. 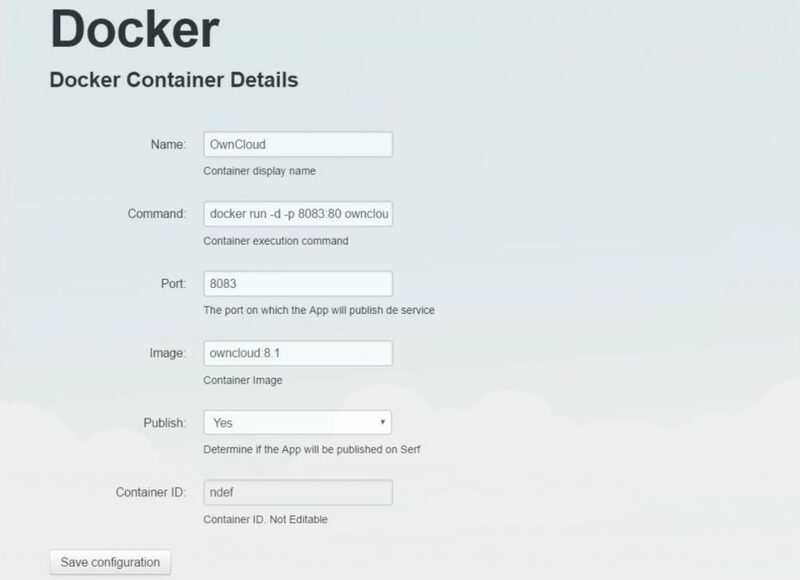 This video tutorial shows how the ownCloud application is enabled as Docker container in Cloudy. We are proud to announce the release of the Cloudy GNU/Linux distribution website! Here you have all the information about the Cloudy project. This is the place where you can read about what Cloudy is and how it is made. And if you like it, you can download and install it, or go to the repository to get or contribute to the code.